Today’s PS Challenge image comes from the Virginia Range, north of Stagecoach NV. I made this image a few weeks ago when I was out with my old retired guy ATV group. 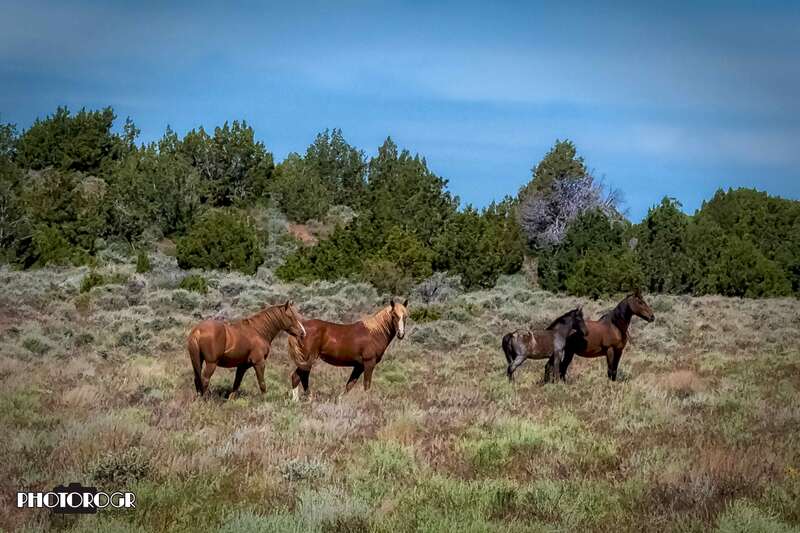 We encountered several bands of wild horses on the ride. Three of these four were more concerned with the guys in the lead, but one kept his eye on me. Bracketed exposures combined in Adobe Camera Raw, cropped in PhotoShop with a filter from Nik Color Efex Pro.